As a treat Saturday morning I let my hubby, Luke, have a lie in whilst I got Jake up. 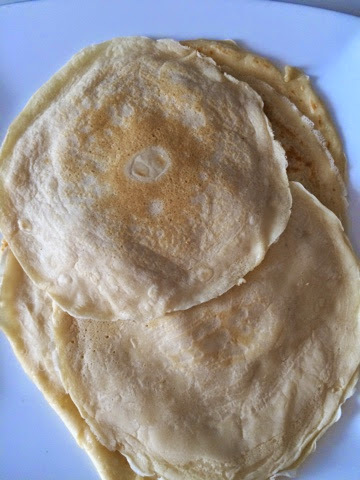 As an extra treat, I had decided earlier in the week that I was going to make us a scrummy breakfast of crepé style pancakes, with lemon and sugar. They are one of my absolute favourite foods. So, I got the mixture mixed, the pan hot and set to work. I was so pleased with the results! They were absolutely delicious; hubby even said they were much better than his Mum's (which is high praise from most men, eh?)! In my bid to be healthy I had breakfast muffins, egg, bacon, tomato, mushroom baked in bun cases. Carb free' I wish it had been pancakes though! !